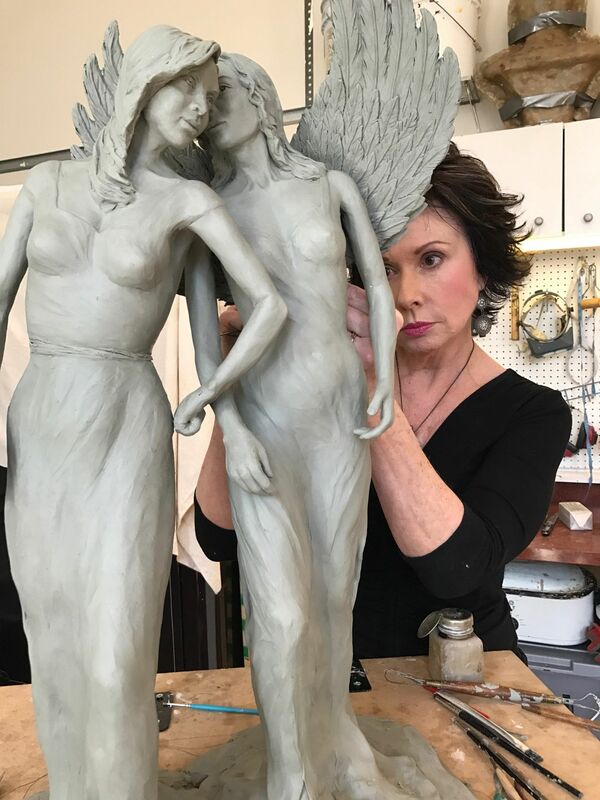 Sculptor Laurie Barton is the subject of a documentary to be filmed by FSU College of Motion Picture Arts, student Chelsea Low, in Stafford, VA, March 14-17. STAFFORD, Va. - March 4, 2018 - PRLog -- Local Northern Virginia sculptor and psychotherapist, Laurie Barton of Barton Sculptures was selected by Florida State University College of Motion Picture Arts' student Chelsea Low, to be featured in a themed documentary. Low and film crew will be in Northern Virginia to begin filming on March 14. Barton's "deep desire to really bring healing in people's lives through art, whether that's working with the mentally ill, depressed, or even sexually assaulted" made her an ideal subject for this documentary, says Low. "Barton empowers women through her sculptures by the portrayal of women with their back-stories. Her sculptures represent real life. They inspire women to be strong and courageous like her pieces, and bring hope to the hopeless." The documentary will focus on Art's power to bring healing and give purpose. Low aims to "portray Barton's art as a redemption story, taking a misshapen piece of clay, smoothing over the cracks, shaping the imperfections and making something beautiful"; using this as a metaphor for Barton's life and those she has worked with. Barton will be unveiling a new piece in the documentary. The piece is very personal for Barton, it is inspired by the child she lost many years ago. Barton says, "For the first time, I am doing a piece deeply personal to me, and part of my own story." The piece titled 'Let's Play', portrays an Angel reaching for a child's hand, signifying a child no longer on earth, safe and happy, playing in the company of her Guardian Angel. The young girl depicted in the sculpture is the likeness of the daughter Barton lost. Barton was inspired by pivotal events in her own life which led her to become a therapist. "The desire to find meaning through loss; as well as a desire to help others were motivating factors. Art, sculpture, specifically was my own form of therapy. I am using sculpture as a way of bringing hope and healing to others," explains Barton. Barton's goal for 'Let's Play' is to bring hope and healing to others who have lost a child. The sculpture will be produced in limited edition. "Additionally, it is my aspiration to share this sculpture on a larger platform, perhaps a life size version featured at a children's research hospital or church". Barton Sculptures was established in Stafford, Virginia in 2001, featuring high quality bronze figurative sculptures and portraiture. Barton's work is featured at the National War College and The Industrial College of the Armed Forces, Washington, DC; The Naval Post Graduate School, Monterey, California; Ave Maria University, Ave Maria, Florida; and Union Station, Washington, DC. For more information, visit www.bartonsculptures.com.